What is the meantime? 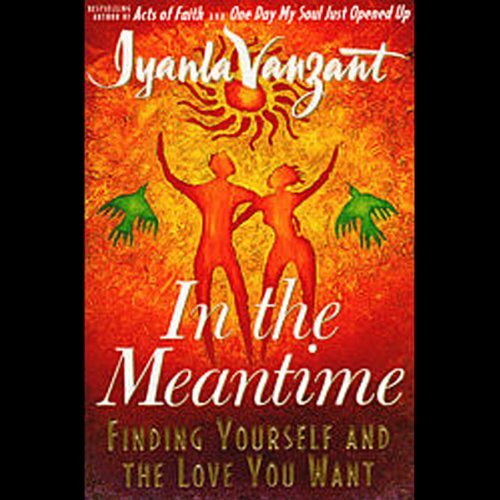 According to author and inspirational speaker Iyanla Vanzant, being in the "meantime" means being in a state of limbo. "When you are not happy where you are and you are not quite sure if you want to leave or how to leave, you are in the meantime," she explains. 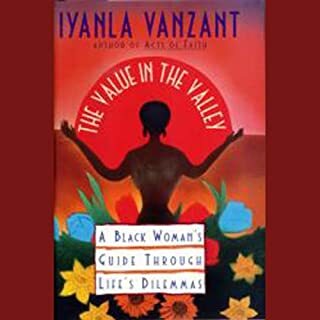 Rather than wallow in confusion, Vanzant encourages you to use the meantime as an opportunity to prepare yourself for true love. The first order of business is to clean house, starting with the basement, the place in the psyche where you store your most destructive thoughts. Room by room, Vanzant takes you through a metaphorical cleaning of the soul. This way, when your meantime days are over and love finally comes knocking on the front door, you'll have a clean house to welcome love into. 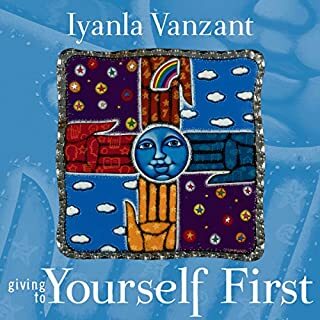 ©1998 Iyanla Vanzant (P)1998 Simon & Schuster, Inc.
Great read. I loved the house metaphor of the parts of a house being parts of our lives. Easily applicable and easy to understand. loved it immensely! I listened to this for 3 weeks until I felt like it was sinking in. Don't rush your healing! Such an easy listen and engaging topic, will recommend to everyone I know who struggles or has struggled in relationships but truly wants to reach their highest potential. If you could sum up In The Meantime in three words, what would they be? 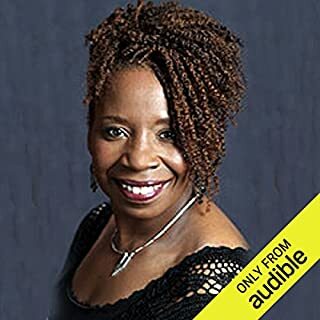 I love Iyanla and I loved hearing her narrate her own book. She makes you feel like she's your best friend sitting beside you, holding your hand and loving you through your "stuff". That relationships need to be recognized for what they are and that there is nothing wrong with a "meantime" relationship. This woman speaks directly to my heart and I am always enlightened and profoundly changed by her work. 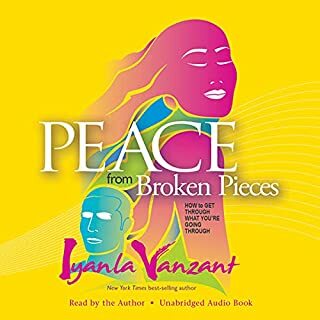 I finished this in one evening and one morning of listening. 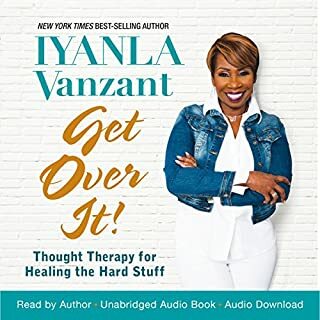 I love Iyanla's show, and the way she gets through to people. She does a fantastic read, but I then again I think I could listen to her read a phonebook and still enjoy it! There are some good bits in here, but it is less direct and more metaphorical. If you are looking for a distinct "how-to" type book, I wouldn't say this is it. She stresses the importance of acting out of love over fear, realizing that some things are "just for now" and that's ok, and that loving yourself is most essential of all, but she doesn't necessarily walk you through how to get there. This book is AWESOME. Thanks for the steps of life and love with great understanding. This is a must read book!!!! I needed this book to help realized how to get out of the second floor and out my own way. such a great book! I have struggled in my relationship with the women of my dreams, my soul mate, the one person that has truly loved me in my life. I feel that I am in a good place in my life except one simple area, and that is when I will react to a feeling in an inappropriate way. I believe that this book has changed my life before I even finished it. In the meantime...I am looking forward to working on the principles outlined in this book, and hone my loving skills to be the best man that I can be. I love the book. it is a way to reflect on your path and Let It Go in order to move forward with your future but yet learn how to live in the present moment. 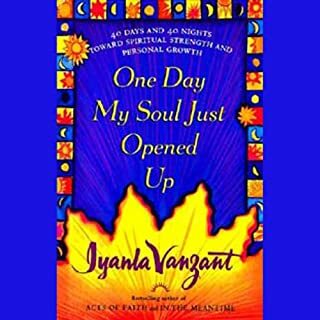 This book is definitely a life tool and her voice is so soothing. I would definitely listen again and again. loved the audio..so many different issues to think about. it gave me so many ways ti view how i have relationshipa and how to set boundries from the begining. thank you Iylana. This book puts your spiritual life in to prospective, as well as bringing you to the reality of relationship in a comprehending natural way. it opens up the need for self evaluation, and centers that unstable side of you that sometimes thinks " is it me thats- the problem ". great book for self esteem and self analysis. Read it years ago and still just as powerful today. Very insightful. Tells stories that anyone can relate to and gives plenty of questions the hungry reader can work on to improve their love life. It's like listening to timely advice and encouragement from my Grandma. Just what I need.